Oooh Betty! is run by Jayne and Emma, friends and fellow lovers of vintage. Jayne sells the things that she has a passion for, including glass, ceramics and a bit of kitsch. A lover of 60s and 70s design, she has a really great eye for a classic piece. Being a bit of a kid herself, Emma likes to have a few things for the children that come along to the fair. Both Jayne and Emma are mums (to five boys in total). The Vintage Village Fair is their 'Happy Place'! You can find Oooh Betty! 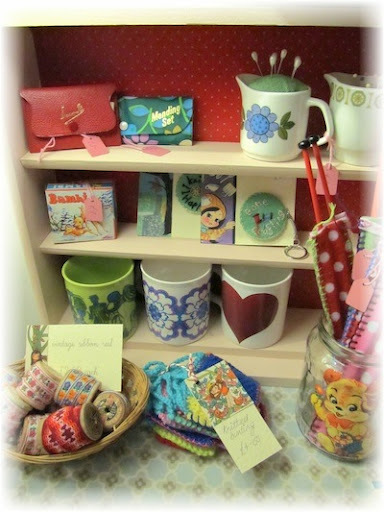 creations on Folksy to purchase online, and you can follow their adventures on their blog too.